Brussels is where the Thai embassy in Belgium is located. 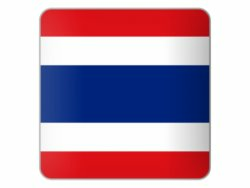 The embassy in Brussels will be able to issue you a Thai visa if you wish to visit Thailand. Depending on what you wish to do in Thailand there is the option of a tourist visa for tourism. This allows you to stay in Thailand for 2 months. There is also an “O” visa or marriage visa if you have a Thai wife and there is also a business visa if you are going to be working in Thailand or conducting business. Finally there is a “OA” visa which is a retirement visa for those who wish to retire in Thailand and are over the age of 50. The contact details for the Thai embassy in Belgium is listed below with a map to the embassy. 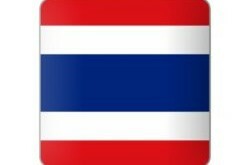 Service for Thai Nationals 09.30 - 12.00 hrs and 14.00 - 15.00 hrs. Monday: 08.45 – 12.30 hrs. and 13.30 – 16.00 hrs. Tuesday: 08.45 – 12.30 hrs. Wednesday: 08.45 – 12.30 hrs. Thursday: 08.45 – 12.30 hrs. Friday: 08.45 – 12.30 hrs. and 13.30 – 15.00 hrs.